Simple, modern layout with everything you need. 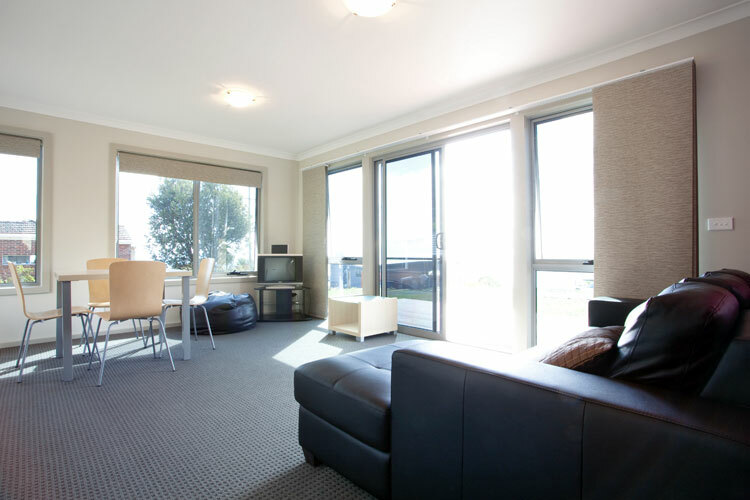 The contemporary open plan, two bedroom unit offers accommodation for up to four people. The main bedroom has a queen size bed and the second bedroom has two single bunk beds. 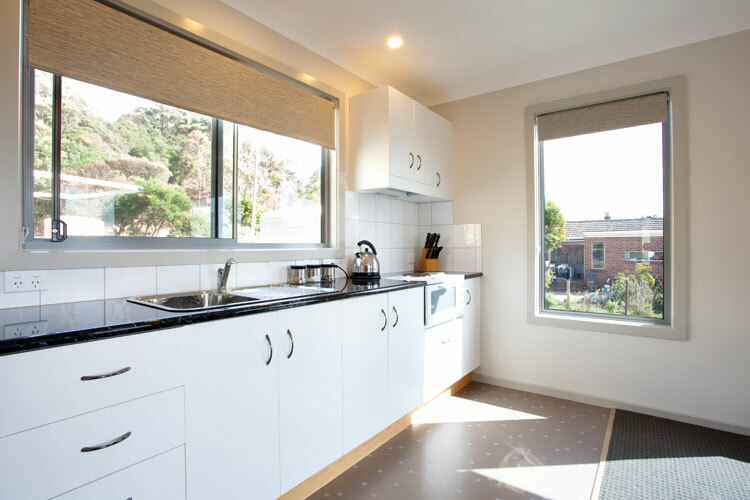 The central living/dining area contains a fully self contained kitchen and facilities, a spacious lounge area that leads onto the deck which overlooks the bay. 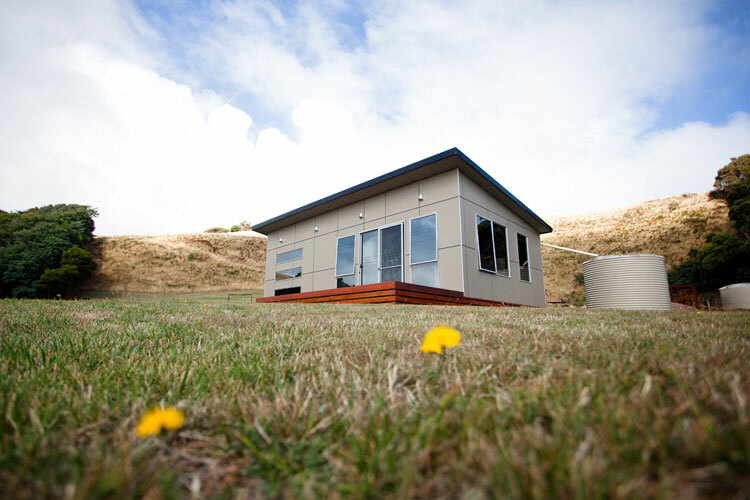 The Boat Harbour Beach Holiday Park Cabins are non-smoking and we are sorry to say, we do not accommodate family pets. 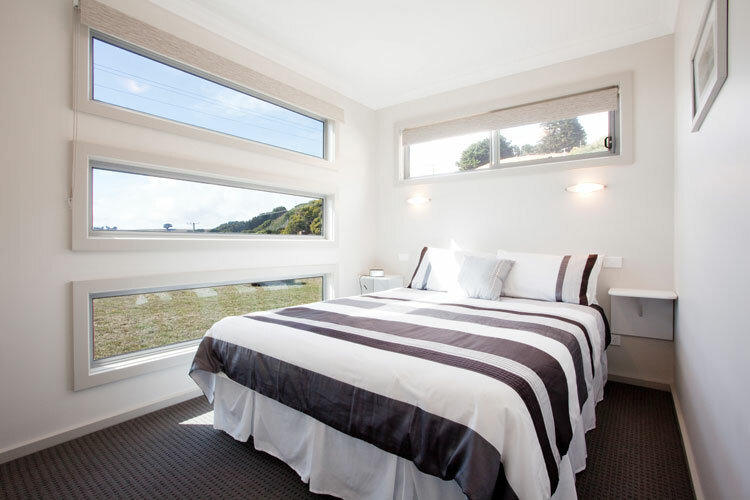 "It's not often you get to wake up to gorgeous water views. This property is truly amazing. 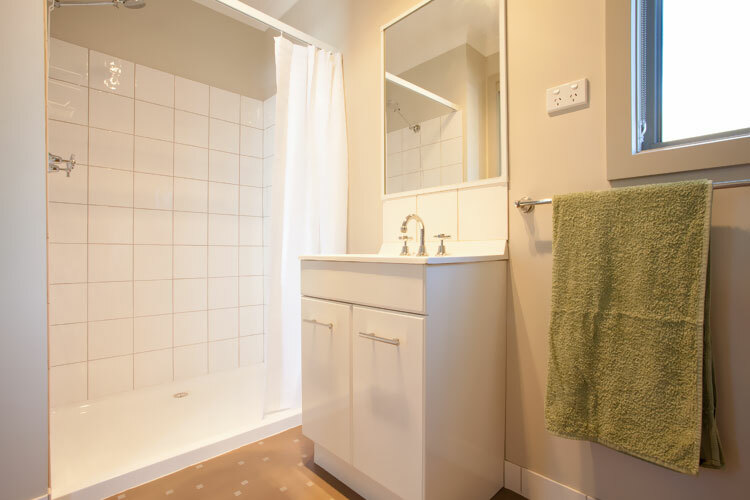 Well equipped and within walking distance to the beach and local shop. Highly recommended staying here." 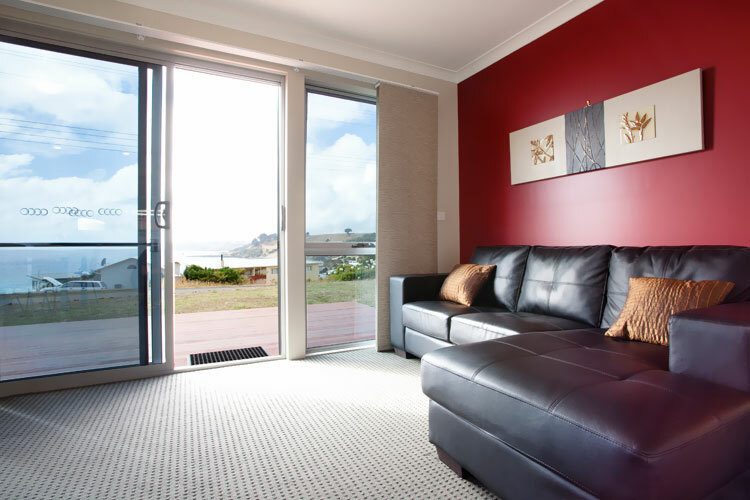 "Wonderful views...comfy & warm...everything you need for a great stay at an amazing location."